Hiking was something that 55-year-old Gresham resident Diana Bober lived for. Because of her flexible schedule, she was often able to fit two or three outdoor excursions into her week. Some of her favorite destinations were trails in the Columbia River Gorge and Mount Hood National Forest, with the proximity to nature being one of the main reasons she moved to Oregon from Las Vegas in the first place. But after Bober went missing for more than a week — and a frantic search by state officials and loved ones — she was found dead after an unprecedented assault. Bober is likely the first-ever victim of a wild cougar attack in Oregon history. "This is a terrible tragedy, and our sympathy goes out to Diana's family and friends," said Brian Wolfer, Oregon Department of Fish and Wildlife watershed manager, during a press conference in Oregon City on Tuesday afternoon, Sept. 11. "All of us at ODFW are thinking of you." 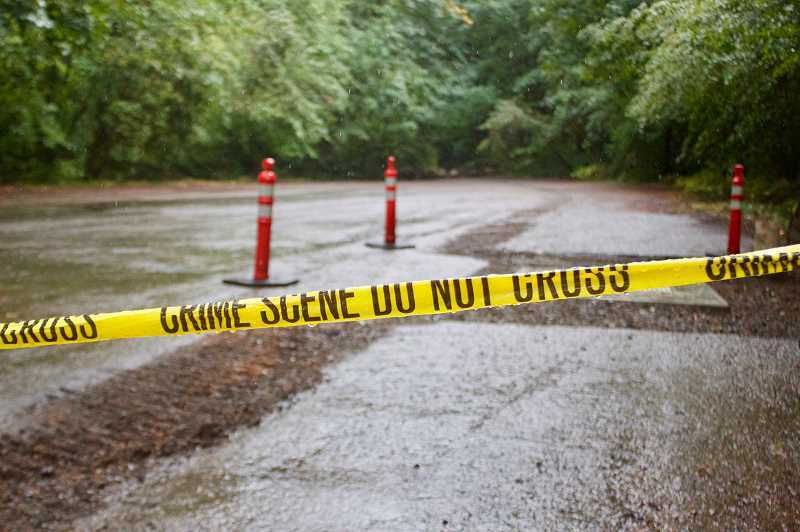 Clackamas County Sheriff's Office deputies found her body Monday, Sept. 10, about 100 yards off of the Hunchback Trail in the Mount Hood National Forest. She died from injuries consistent with cougar attacks, the Oregon Medical Examiner's Office was able to determine. 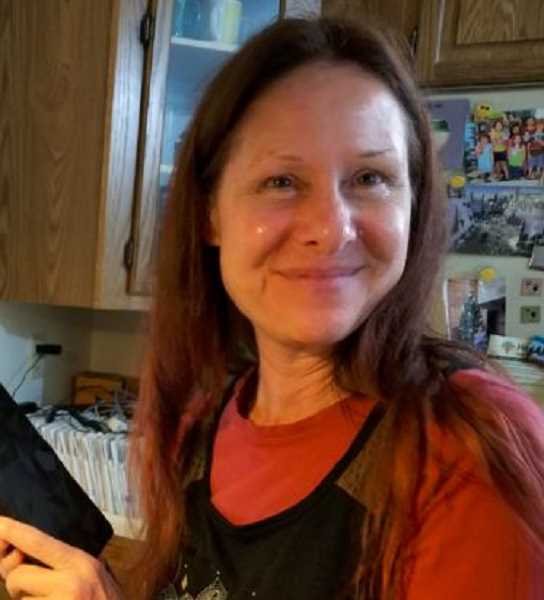 Bober was first reported missing on Friday, Sept. 7, when her out-of-state family expressed concerns to the Gresham Police Department after not hearing from her since Aug. 29. Bober missed a weekly call with her mother — something that was unheard from the thoughtful daughter. Friends corroborated the concern when she failed to make prescheduled meetups without notice. "I knew something was wrong," said her older sister Alison Bober. The fear was that Diana had been hurt while hiking, so Alison and her parents traveled from points east to Oregon to help look for her. 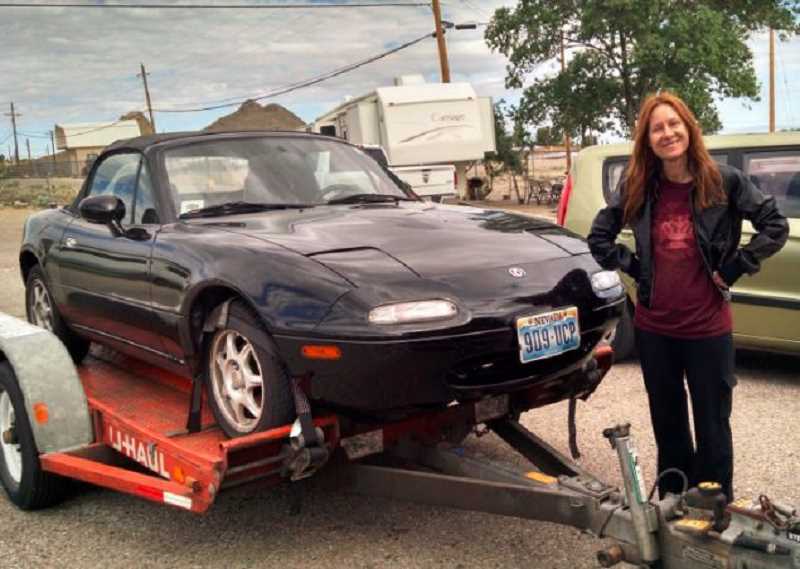 A search-and-rescue mission began on Sunday, Sept. 9, near the Zigzag Ranger Station on Highway 26 after Diana's car was discovered in the parking lot. Then an important clue was discovered in the lost-and-found bin at the station. A mother and daughter hiking the same area had found Diana's day pack abandoned along the trail and left it at the station during off-hours. Later, upon hearing about the missing woman, the pair led searchers to the spot where they found it. A short while later, searchers found Diana on a steep embankment, with what appeared to be defensive wounds after she fought back with sticks and stones, Alison said. The exact time of her death is unknown, though officials suspect the cougar attack occurred a few days before she was found. Many agencies helped, including Pacific Northwest Search and Rescue, Portland Mountain Rescue, Crag Rats, U.S. Forest Service, Hood River County Sheriff's Office, American Medical Response, Mountain Wave and the Hoodland Fire Department. "The prayers of our family and friends, and the commitment of the community to find my sister have helped us," Alison said. Though the attack is an unprecedented occurrence in Oregon, officials said cougar fatalities have occurred in other states. 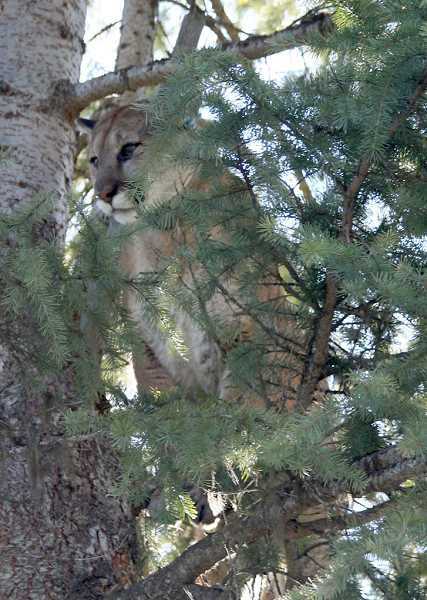 "We are asking people to avoid this area while we attempt to remove the cougar," Wolfer said. "We don't know what risk it poses to the public." ODFW staff are working with other agencies including the Clackamas County Sheriff's Office, Oregon State Police-Fish and Wildlife Division and the U.S. Forest Service to track down and kill the cougar responsible for Bober's death, Wolfer said at a follow-up news conference on Wednesday, Sept. 12. ODFW has closed the Hunchback Trail while conducting the search. Once crews have tracked and killed the suspected cougar, scientists will perform DNA tests to confirm they found the animal responsible for the attack. "We will not know for sure that we have the correct cougar until we get those samples," he said. Once they find the cougar, an autopsy will determine the age, health, diet and any diseases the animal may have carried, which could provide evidence for why it attacked Bober, added Rick Swart, ODFW public information officer. While crews search for the animal, ODFW may close other trails in the area to keep it from crowding with hikers. The cougar population in Oregon is stable, with about 6,600 living within the state. According to representatives with the state wildlife department, about 400 complaints are made each year about cougars attacking livestock or threatening the safety of people or pets. Violent run-ins with people are rare, however. In the past decade, about 20 cougars have been killed each year in the wildlife management area where Bober's body was found. 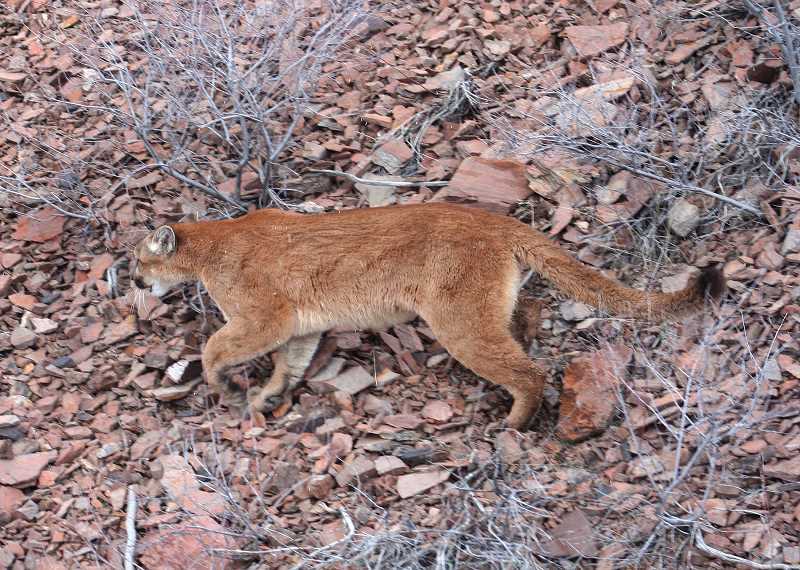 Just last January, Oregon State Police, along with U.S. Department of Agriculture APHIS Wildlife Services, tracked and killed a cougar sighted just west of Royal Lane in Sandy. At the time, officials cautioned the community to "avoid the hiking trails in this area until authorities can resolve the issue." A 2-year-old male cougar weighing about 90 pounds was first seen on private property and may have killed a sheep. Because of the livestock killing, ODFW decided to use hounds to track the animal. Because of the cougar's close proximity to a public school and residential area, officials became concerned about public safety and chose to kill the animal. "Fortunately, there wasn't school. So that streamlined things," Swart told Pamplin Media Group at the time. The cougar was shot and killed on private property after being tracked and treed by hounds. A fatal cougar attack occurred about five years ago at a large cat sanctuary in Sherwood. The animal keeper was mauled to death while cleaning the cougar's habitat. This event does not count in the statistics of cougar attacks because the animal was in captivity. In May, a Seattle cyclist also was killed by a mountain lion while riding with a friend in the North Bend area. According to Washington officials, the 100-pound animal was emaciated and had stalked the friends as they rode. That fatal attack was the first in the state in nearly a century. Cougars can be legally killed by landowners or law enforcement officials when they pose a threat to human safety or cause damage to livestock. They can also be hunted by citizens, just not with the use of hounds, as outlined in Ballot Measure 18 that voters passed in 1994. "Basically, since that time the cougar population has almost tripled," said Jim Akenson, conservation director for the Oregon Hunters Association. At the time of the ballot measure, Akenson was working as a carnivore biologist, and he noted that he and his department had concerns that without the means of using hounds to manage the cougar population and that as the cougar population increased they might habituate or lose their fear of people. "I don't feel it's appropriate to leverage off of this tragic event," Akenson added. "I'm not saying this is a direct result (of overpopulation) but these sorts of occurrences are more likely to happen with that ban. We as an organization would like to see hound hunting brought back. We understand it would be highly regulated." The Legislature so far hasn't made any moves to overturn the measure in the past few decades. Rep. Jeff Helfrich, R-Hood River, of House District 52 told The Post that if such legislation were up for consideration he would support returning the idea to the public so they could vote on it again. "I do not believe the Legislature should overturn the will of the voters," he explained. "However, I do believe the Legislature has a duty to keep people safe. As such, I would be open to supporting legislation referring to the voters' consideration of the limited use of hounds for helping control the current population of cougars." Helfrich's opponent, Anna Williams, D-Hood River, also would not support overturning the ban. "In general, I think the Legislature may have cause to overturn or adapt legislation, but in this case I think the ban should stand," Williams noted. "As we continue to increase population and with an increase in fires and weather, wildlife have fewer safe places to be and become transient. We need to figure out ways of managing how wildlife and humans interact. I don't think using dogs to hunt cougars is the solution." Akenson added that over time the ban has been in place, "for the number of people going out in the field recreating, there's a lowering level of awareness." "There needs to be more awareness," he said. "It's a tragic thing for the family, and our sympathies go out. It's a terrible thing." Diana was raised by a pair of adventurous parents, and that spirit of taking on new challenges helped lead her through life. Born overseas, her family moved often before settling in Texas, where she attended high school and college. A theater major, Diana went from Dallas and New York City to pursue a career on the stage and silver screen. Later, her passion for playing Texas Hold 'Em motivated her to try and become a professional in Las Vegas. But she became unhappy living there and wanted a change of scenery. "My sister was always looking for where her next adventure would be," Alison said. "She fell in love with Portland and decided to move there in 2015." What drew Diana to the rainy Pacific Northwest was her love for hiking and exploring nature, and it was the perfect community for her. "My sister lived life fully," Alison said. "While we wish this search had turned out differently, the fact that she died while fighting a cougar shows who she was." "Generally speaking, the No. 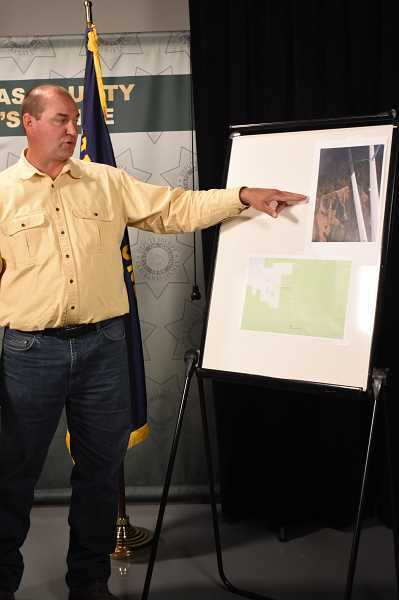 1 thing is being aware of your surroundings," said Kurt Licence, Oregon Department of Fish and Wildlife biologist. -- Leave dogs at home or keep them on a leash. "Pets could encourage an animal or predator back to their owner," Licence noted. -- Don't hike at dawn or dusk when predators are most active. -- For homeowners, don't feed wildlife. "The whole food web ends up showing up if you feed smaller wildlife like squirrels," Licence explained. "I think just following those rules will really help people stay safe out there," Licence said.